Fiber optic cable is the essential media in telecommunication system for transmitting information. 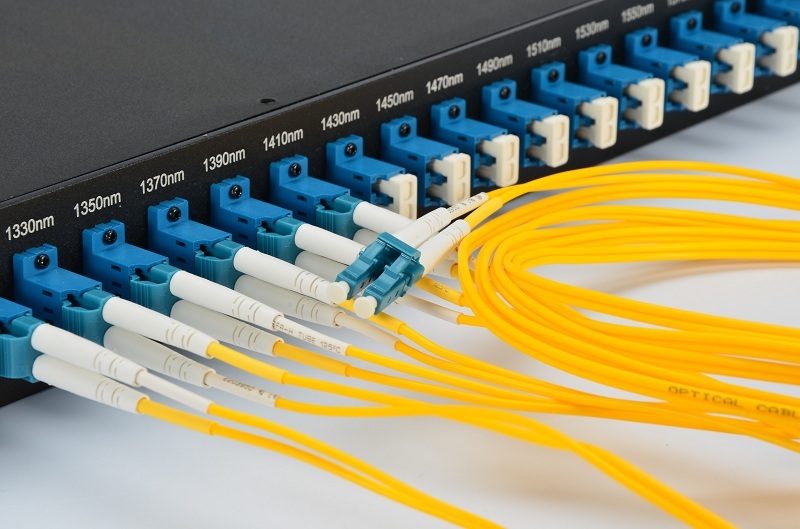 According to different categories, while depending on fiber connectors, patch cable can be considered as LC fiber, FC fiber, SC fiber, ST fiber and so on, it is well known that fiber optic cable can be divided into single mode fiber and multimode fiber based on transmission paths. Today, we will learn more about the single mode fiber distance. Single mode fiber derives its name from the fact that it only allows one mode of light to pass through their core at a time. Commonly, single mode fiber is designed with a narrow core diameter of 8 to 10 micrometers, which is much smaller than multimode fiber of 50 or 62.5 micrometers. Before we continue, we need to be clear that due to different mode of propagation, there is modal dispersion during the signal spreading. And transmission distance is greatly influenced by the dispersion. Luckily, because of the allowance of just one mode of light, single mode fiber have the ability to transmitting data for miles without losing too much data. Thus it can readily carry information for a longer distance than the light used in the multimode fiber. OS1 and OS2 are the two types of single mode fiber, here the term OS refers to optical single mode fiber. Both of them are suitable for Gigabit applications and have the same jacket color. OS1 cable is indoor tight buffered fiber that is compliant with ITU-T G.652A or ITU-T G.652B standards. The attenuation of this type is 1dB per kilometer with a top transmission distance of 2 km at 10 Gigabit Ethernet. It works between 1310 nm and 1550 nm. OS2 cable is outdoor loose tube fiber optic cable that comply with ITU-T G.652C and ITU-T G.652D specifications. It has an attenuation of 0.4 dB between 1310 nm and 1550 nm, with a maximum transmission distance of 10 km at 10Gigabit Ethernet. Single mode fiber provides a greater transmission distance. When choosing the right fiber cable, the most crucial thing that must be taken into consideration is how far the cable could support. In addition, the transmission distance is also related to the optics that users apply in the equipment. According to the above form, we can clearly see that transmission distance varies greatly. At different transmission rate, the distance changes. Distance of single mode fiber can reach 40km at the speed of 40gigabit Ethernet, and it will be 10km with the speed of 10gigabit Ethernet. Thus, try to buy fiber cable of suitable length for your project based on your network speed and some other actual situations. Thus, try to buy fiber cable of suitable length for your project based on your network speed and some other actual situations. Transmission distance of single mode fiber is an important factor when people set up a network especially in data center that requires data to deliver over long distances. FS.COM provides a number set of OS1 fiber, OS2 fiber, LC fiber, SC fiber and so on. The products have passed many quality system verification such as CE, FCC. Come and choose your favored cables at FS.COM. This entry was posted in Fiber Optic Cables and tagged fiber optic cable, LC fiber, single-mode fiber on May 11, 2018 by Sinead. Zhang.